In the last six weeks, I performed four shows in LA and SF, at Mystic Journey, the Center SF, on my friend Satya's roof and at a boutique in Venice called Late Sunday Afternoon. When there were tickets, it sold out. When it was private, it was intimate. Thanks to lovely host Rachel Ratliff, I taught an advanced workshop, Empath 401. It was my first time teaching fellow empaths how to do what I do. That is to surrender, deliberately and completely, their nervous systems to another person's experience. 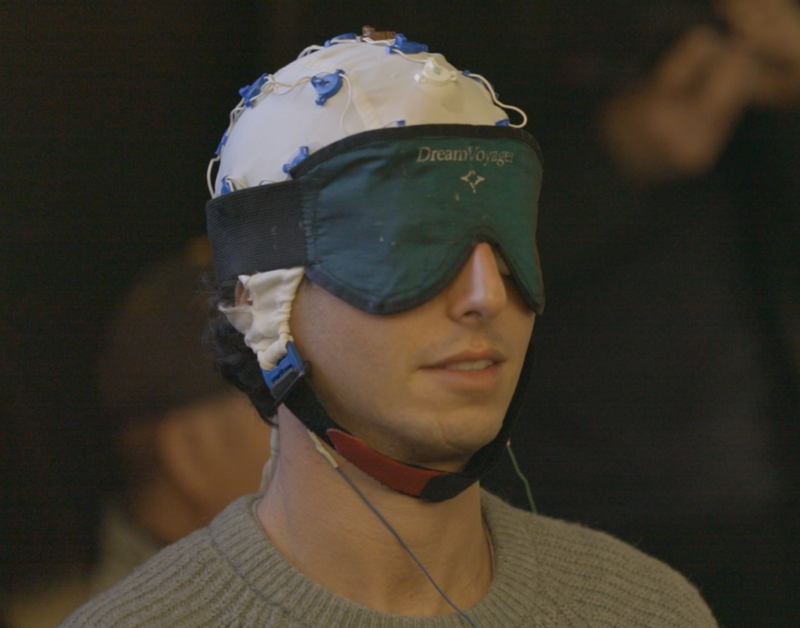 I subjected myself to an EEG for an event "The Art and Science of Empathy." A crowd of 90 watched Juan Acosta strap a cap to my head and read my brainwaves while I tuned into to volunteers. Finding so far: my alpha waves spike every time. Courtney Yeager, a neuroscientist from UCLA, explained the science of empathy, saying we don't know much at all. I did a popup show at Facebook HQ in Menlo Park. I keep having visions of consulting for Facebook, helping them orient around the heart (for real). Just following my intuition. We'll see where it leads. I did an interview with Allen Saakyan and went on my favorite rant ever at 14:40 about the importance of emotional truth as a way to navigate life. There's also reading of Allen starting around 50:00. And other experiences. A weekend retreat with Charles Eiseinstein, whose book "The More Beautiful World Our Hearts Know Is Possible" continues to orient me as I stumble into the unknown. An evening at Evryman in NYC, where 20 men practiced vulnerability by expressing their feelings. And an afternoon exploring Jewish ritual with my friend Moshe Unger, who gave me the gift of Tefillin. I should mention my 20 year high school reunion. Can you spot me in this pic from 1998? Well, here I am, between my best high school friends, Andrew and James. I was depressed. I'm happy now.